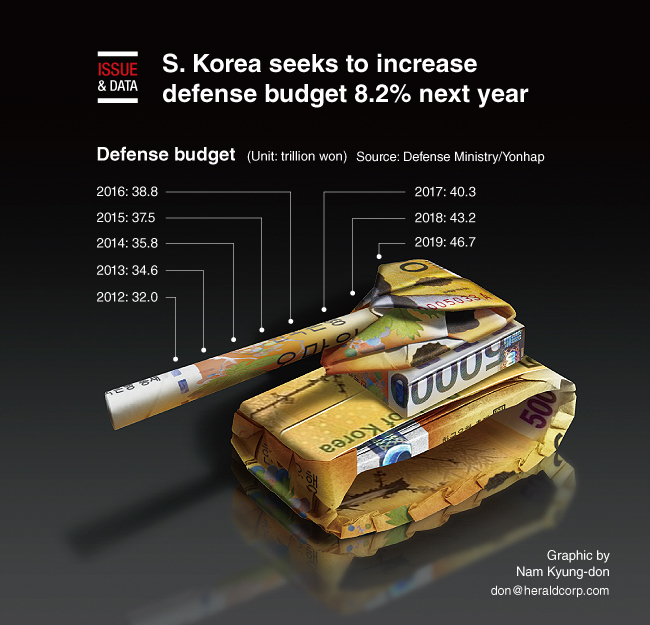 The South Korea government announced that it will raise its defense budget 8.2 percent on-year in 2019, the largest expansion since 2008. The Ministry of National Defense said it has proposed a budget of 46.7 trillion won ($42 billion) for next year. Of the total, the ministry plans to spend 15.3 trillion won on boosting defense capabilities, an increase of 13.7 percent from the previous year, while setting aside 31.3 trillion won for running military forces, an on-year growth of 5.7 percent.